Ty Dolla $ign Recruits YG For New "Beach House 3" Song "Ex"
Home>New Songs>Ty Dolla $ign Songs> Ty Dolla $ign Recruits YG For New "Beach House 3" Song "Ex"
Listen to Ty Dolla Sign's new "Beach House 3" leak "Ex" featuring YG. Fans have been patiently waiting for the release of Ty Dolla Sign’s Beach House 3 project ever since he first announced it back in June of 2016, but after a year of being left in the dark & anticipation, the project is finally right around the corner. A couple weeks ago, the T.G.O.D. crooner revealed that Beach House 3 would be dropping on October 27th and contain 20 songs in total, although he didn't reveal the official tracklist just yet. However, over the past few weeks, Ty Dolla Sign has been treating us to quite a few records off the album to hold us over, including “Dawson’s Breek” with Jeremih, “Message In A Bottle,” “Love U Better" feat. Lil Wayne and The-Dream, and “So Am I" ft. Damian Marley and Skrillex. 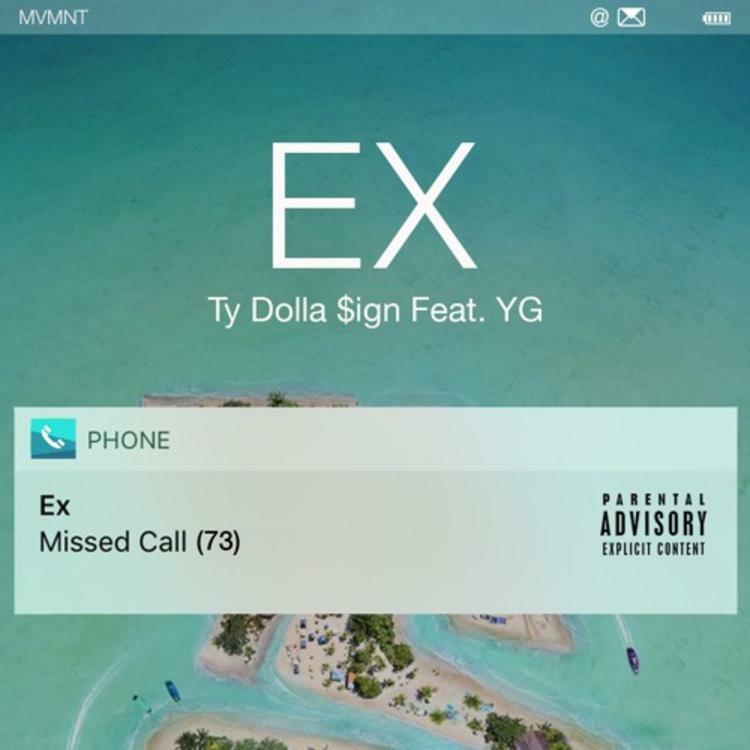 On Thursday, Ty Dolla revealed that he was going to unleash another pre-order leak at midnight with YG called “Ex,” and alas here it is right on time. Over production by Bongo By The Way, and sampling a classic Bad Boy cut, the T.G.O.D crooner delivers a radio-friendly club banger that finds him addressing relationship issues with his "ex" girl just as the title depicts. "I just text my main chick/ I told her I ain't coming home/ I just text my main chick/ I told her I ain't coming home tonight," he sings on the hook. The record surfaces just a couple weeks after both YG & Ty Dolla were named in a new lawsuit from a man who claims his livelihood was impacted by a beating that he took at one of their shows. Take a listen to the Bongo By The Way-produced collab and let us know what you think. Beach House 3 available now for pre-order on iTunes. 24Hrs Joins DVBSS On New Single "Good Time"
Tee Grizzley Drops Off Energetic New Single "Win"
SONGS Ty Dolla $ign Recruits YG For New "Beach House 3" Song "Ex"